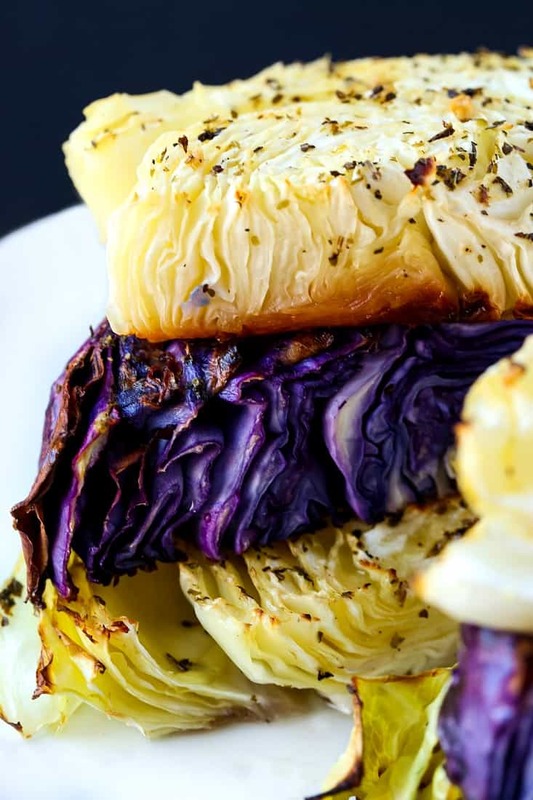 This Oven Roasted Cabbage Recipe is such an easy, healthy vegetable side dish! This tasty cabbage will go with almost any dinner, or even on it’s own! We love super flavorful vegetables side dishes like this Brussels Sprouts Casserole or these Grandma’s Stuffed Artichokes! Don’t forget to try our super tender Crock Pot Corned Beef recipe! I think cabbage gets a bad rap in the vegetable world. In fact, it gets a bad rap with me too. There’s no way before tasting this oven roasted cabbage recipe that I’d ever sit down and say “pass the cabbage”. 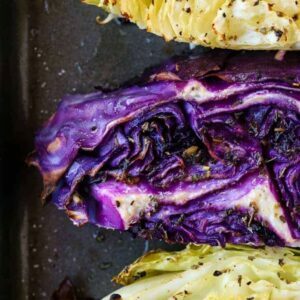 This cabbage recipe is so simple and so full of flavor, I wonder what’s taken us so long to try roasting cabbage before! 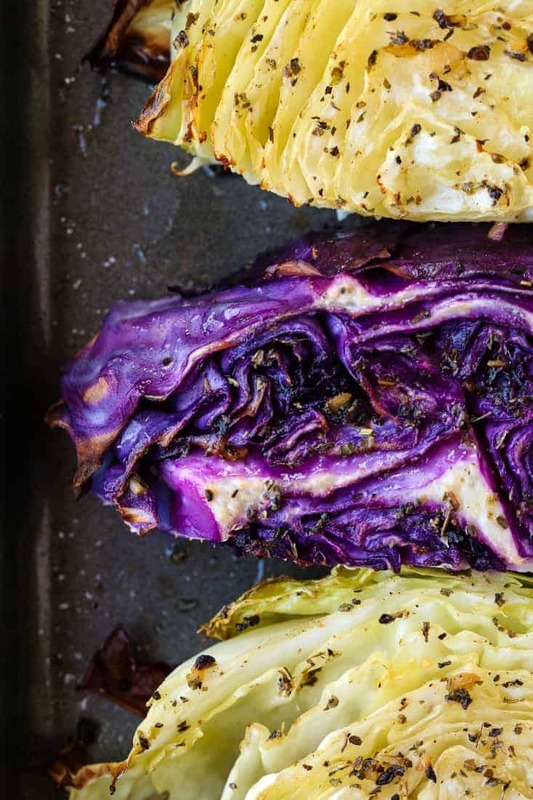 Cooking cabbage in the oven is one of the tastiest ways, maybe even the only way to do it. Honestly, a drizzle of olive oil, salt and pepper on the cabbage alone is going to taste delicious. But we came up with this zesty flavored oil, almost like a vinaigrette that goes so nicely with the cabbage. 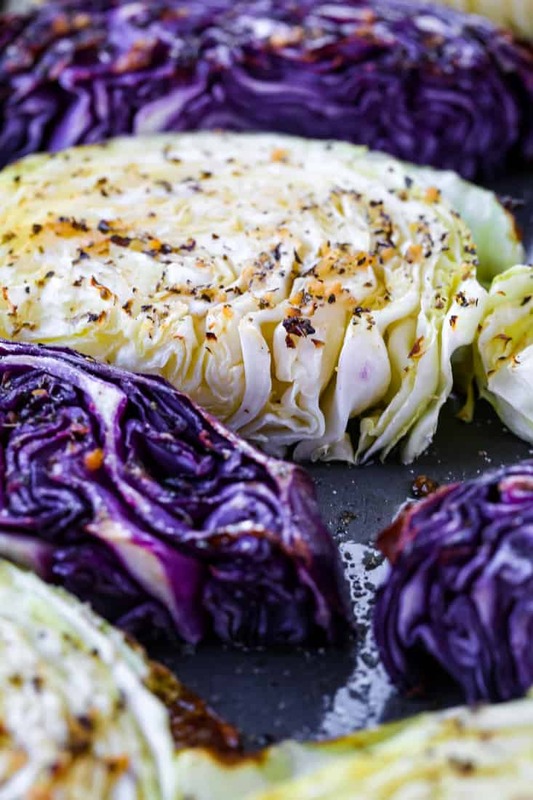 You could also call these cabbage “steaks” like some cauliflower steak recipes, but oven roasted cabbage works just fine, too. 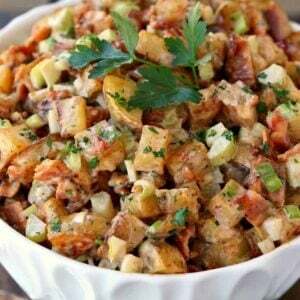 All you have to do is mix the ingredients together for the dressing and brush it onto your sliced cabbage. Roast for 35 minutes, basting with more dressing in between. What Can You Serve With Cabbage? I’m telling you, there’s no better side dish to pair with your corned beef than this cabbage recipe! 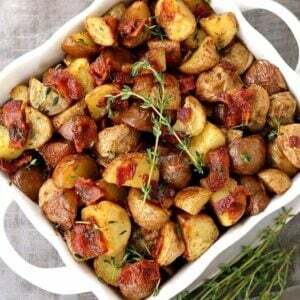 Ok, well maybe you need some potatoes on the side, too but that’s a perfect match right there. This side dish recipe is going to go pretty well with just about any protein. Chicken, beef (steak, for sure) fish of any kind and definitely a beautiful side dish to any holiday dinner. If your brain is a little foggy, try a big helping of cabbage. Cabbage is loaded with Vitamin K which is said to help with brain function and concentration. 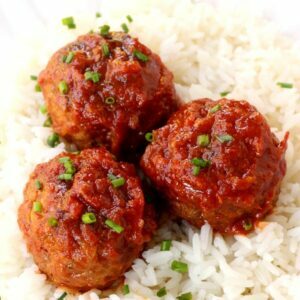 Cabbage is also very low in carbohydrates, which is why many people following a low carb diet add cabbage to many of their recipes like these Cabbage Roll Meatballs for instance or our Pork Egg Roll Soup recipe. 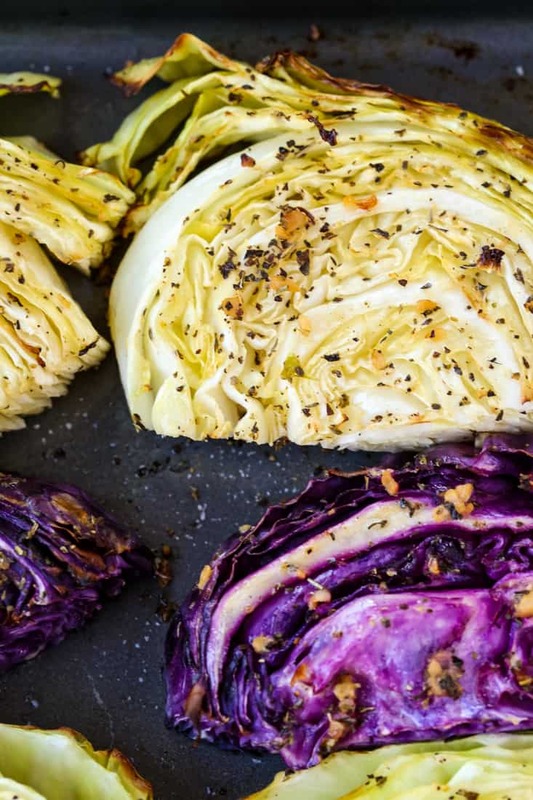 Roasted or steamed cabbage can help lower cholesterol, it can also fight off acne and help you loose a few pounds since it’s so low in calories. We added purple cabbage to this recipe too, mostly for the pretty color but in doing some research on the nutrients in cabbage we learned that red cabbage is the powerhouse of cabbage as far as nutrition goes, so it’s way more than just pretty. So yes, cabbage is really good for you. We’re adding it to our weekly shopping list now, for sure.